How in the world is my baby 2 years old?! It’s incredible how fast time flies by! Brandon is all boy! One of his favorite toys to play with (besides crayons) are cars! He pushes them across the floor and says “vruum”. It’s so cute! 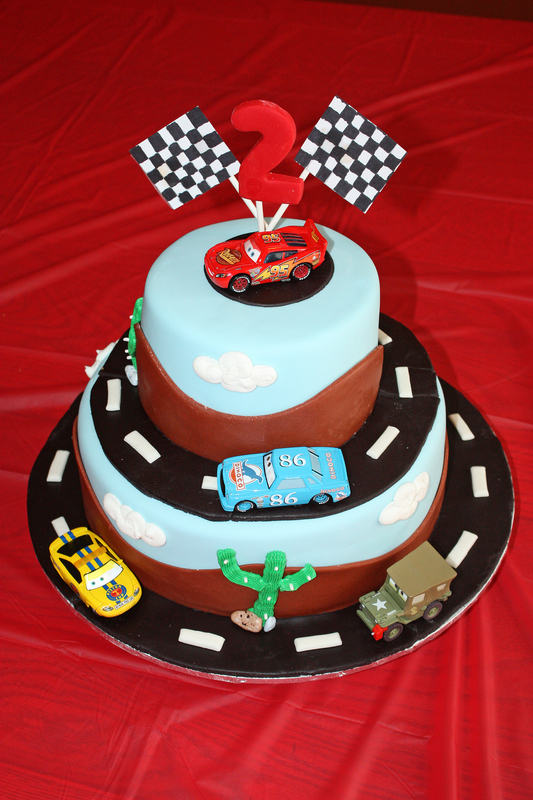 So for his second birthday I created a Cars the movie cake! 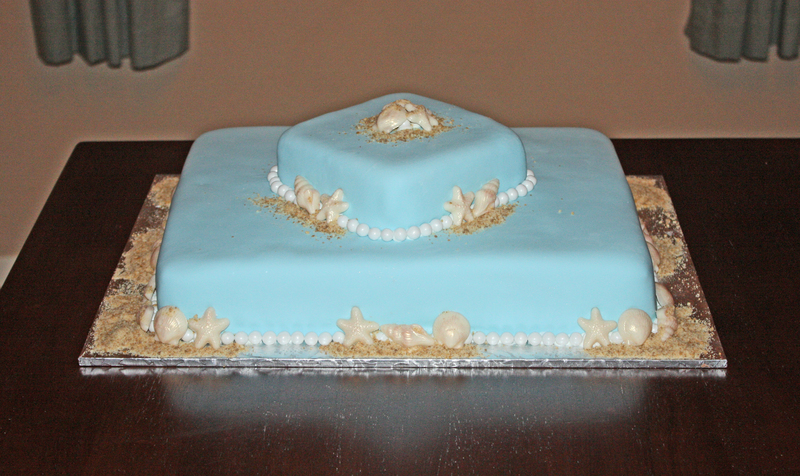 My friend Dee retired from the Navy and I created with this serene beach cake to symbolize tranquility, relaxation, and enjoying the beauty of life – what retirement is all about! 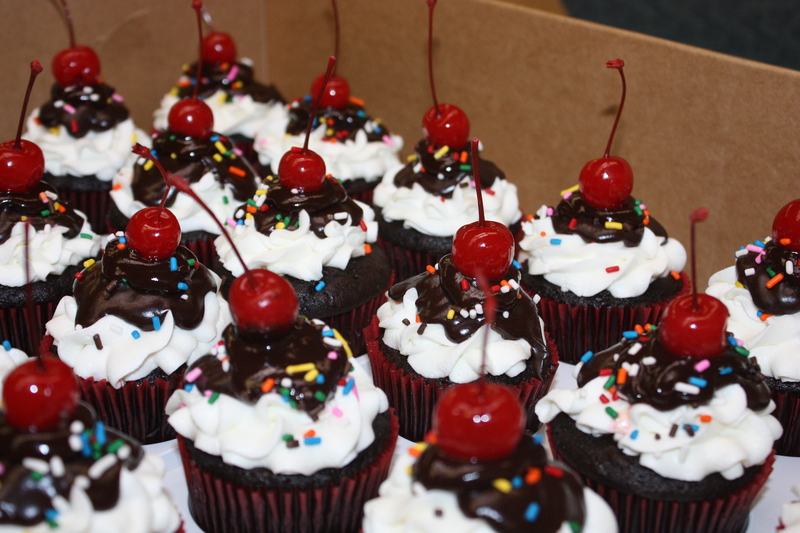 I made these sundae cupcakes to raise money for the United Way. They are dark chocolate fudge cupcakes with buttercream icing, ganache, sprinkles, and topped off with a marachino cherry! YUM-MO!!! I made this cake for my hubby’s birthday! 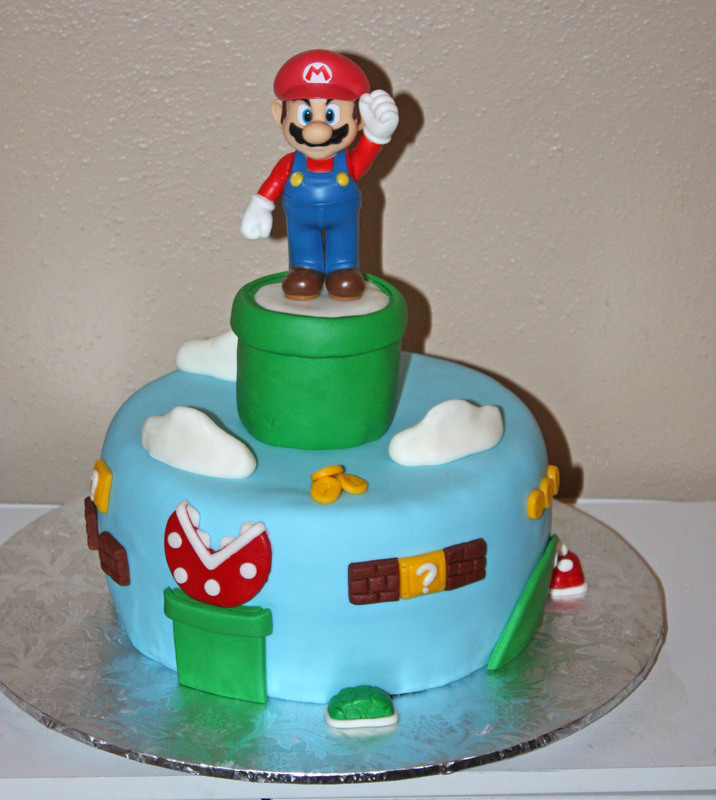 We are both very big fans of Super Mario and I couldn’t wait to create this cake for him! 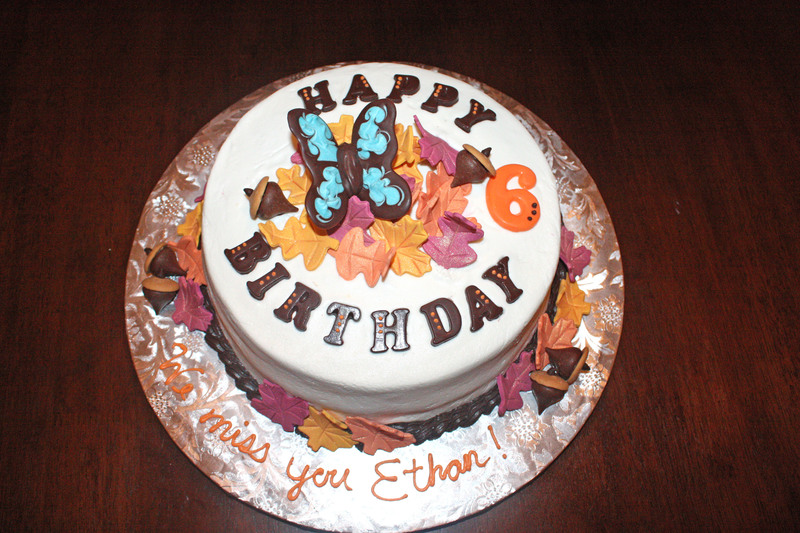 I made this cake for a friend who was celebrating the birth of her son Ethan who grew wings at 6 weeks old. He would have been 6 years old this year. You are missed, but never forgotten Ethan.